Revolutionize your relationship with God with four compelling discipleship books in one! In Masterlife: Developing a Rich Personal Relationship with the Master by Avery T. Willis, Jr., and Sherrie Willis Brown, you'll learn to be an obedient disciple, live in the Spirit, triumph over the devil, and identify your own role in ministry. Reap the benefits of not one but four separate 6-week studies---each focusing on a unique aspect of the Christian life. 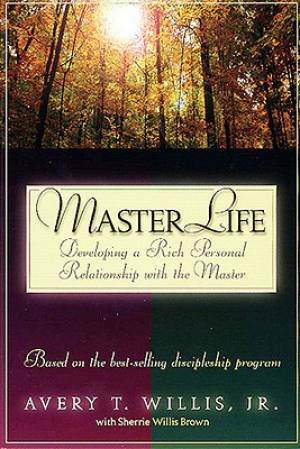 Masterlife by Avery T. Willis Jr was published by B & H PUBLISHING GROUP in July 1998 and is our 52119th best seller. The ISBN for Masterlife is 9780805401653. Be the first to review Masterlife! Got a question? No problem! Just click here to ask us about Masterlife.